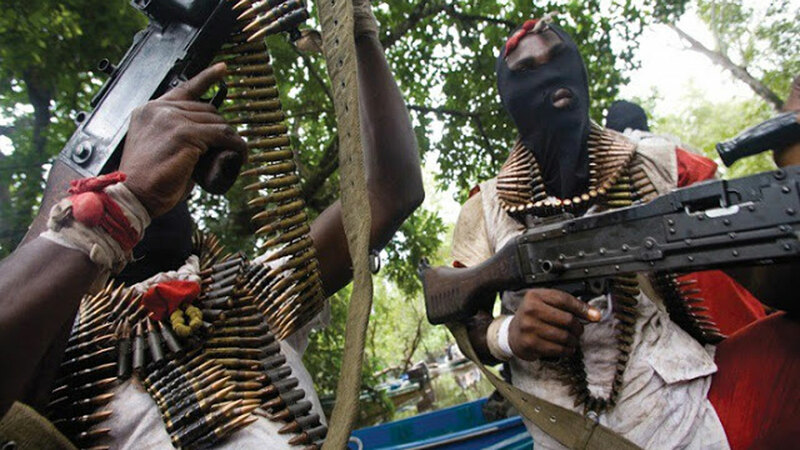 Hundreds of ex-militants from the riverine areas of Ondo State yesterday stormed the office of Ondo State Oil Producing Area Development Commission (OSOPADEC), protesting against foul play in the last amnesty programme organised by the state government. The militant groups, who mobilized hundreds of their members to OSOPADEC office at Oba-Ile, described the Amnesty program organized by the state government between November 9 and November 21, 2017 as a fraud. The various militant groups were, the United Sea-wolf Avengers, the Awaja Camp, the Niger Delta Militant Vanguard, the Dragon and Lion Camp. The leaders were, General Deji Williams (United Sea-wolf Avengers), General Seamaco (Awaja Camp), General Ebiee (Niger Delta Militant Vanguard), General Mayowa (Dragon Camp) and General Bbanju (Lion Camp). They set up bonfire and barricades at the entrance of the office, preventing staff from entering the premises, accusing the state government of conducting a ‘fake’ amnesty programme for them. It took the efforts of mobile policemen, who shot sporadically into the air, to disperse the protesting group. The aggrieved militants, who started their protest at the OSOPADEC office on Thursday, accused the Deputy Governor, Agboola Ajayi of allotting slots of the last amnesty programme to his friends, allies and political family. They alleged that instead of using the Amnesty program to achieve peace in the riverine area, the Deputy Governor is using the exercise to build structures for his senatorial ambition, threatening to return to the creeks, if the state government refused to honour its part of the agreement. One of the militants, who identified himself as Kingsley, lamented that Ajayi has politicized the exercise to the extent that more people of non-riverine areas like Irele and Okitipupa are smuggled into the Amnesty program. Kingsley said the Deputy Governor had told some of them that the amnesty program is strictly a social welfare package for members of the APC. But the state government said those protesting were not part of the amnesty programme but a bunch of disgruntled jobless youths parading as ex-militants.